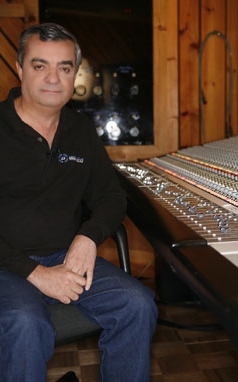 Tony Bongiovi is the world renown recording engineer and producer who worked behind the mixing board for all the great artists at Motown. Later, he worked at the Record Plant studios in New York with Jimi Hendrix. In the 1970's he built the Power Station studio in New York where he produced The Ramones,Talking Heads, Aerosmith, Gloria Gaynor and many others. Today, he is busy with the Power Station studios in Pompano Beach, Florida and is the co-founder and managing director of Bongiovi Acoustics. Jasmine Rodgers worked as the vocalist and co-songwriter for English alt rock group Boa while simultaneously obtaining a degree in zoology from the prestigious University of Roehampton in London. Rodgers has just completed the recording of her first solo album (titled Blood Red Sun) and was extremely gracious in sharing a few thoughts with jungleroom.com. Joyce Kennedy is the voice of Atlanta-based funk rock pioneers Mother's Finest. After finishing a string of summer European dates with her band, she was extremely gracious in sharing a few thoughts with jungleroom.com about her first crush on Elvis Presley, family and musical roots, touring and recording with the biggest acts in the world (Aerosmith, AC/DC, Van Halen, The Who, etc.) in the late 1970's arena-rock circuit, her stint as a solo artist in the 1980's, race and stereotyping as factors in the music business and her new recording projects. Frank Marino is the finest and most underrated guitarist of the 1970's. Marino and his Canadian supergroup Mahogany Rush toured the world's arena rock circuit highlighted with appearances at the era's largest outdoor festivals (California Jam II, Florrida World Music Festival, Bill Graham's "Day on the Green", etc.) and recorded an extremely impressive collection of music that is highly revered among many of today's contemporary rock guitarists.